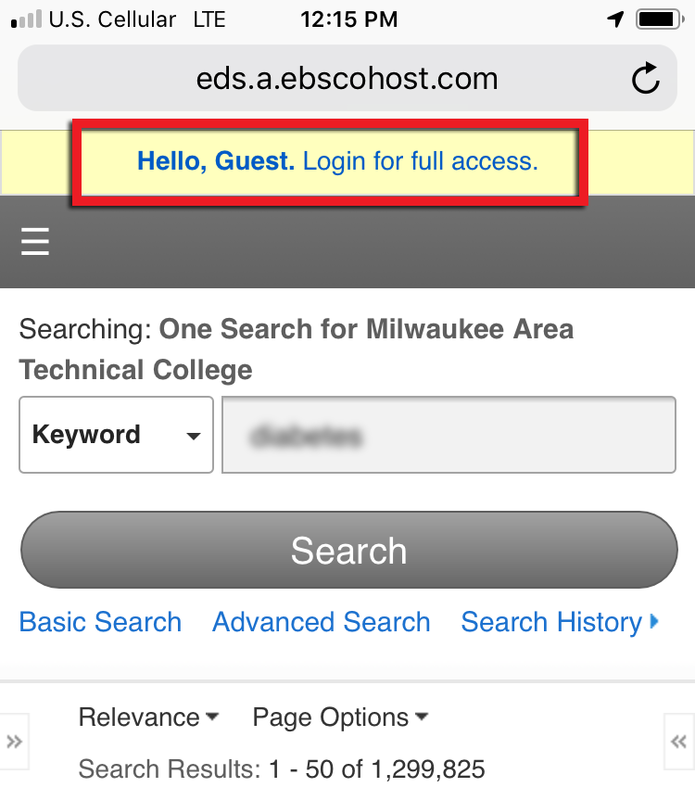 When you are accessing the databases off-campus, you may have to log in to prove (or authenticate), that you are an MATC student. This guide will show you how to log in and what to do if you are having problems. We recommend that you use the Chrome browser. If you are having problems, try clearing your cookies. If that doesn't work, you could try another browser like Firefox or Internet Explorer. You can view search results without logging in, but if you want access to the full articles, click on the link for full access. • Enter your password, which is the same password you use for BlackBoard and INFOnline. You can find your username by clicking on "What's my user ID" in INFOnline, on bottom, left of screen. • Enter your 7-digit, student ID number, which can be found on your Stormer Pass, or listed on your class schedule. Are you getting a Whoops Warning? If you are getting a Whoops warning, don't worry, this just means that your computer or device is not being recognized and you just need to log in. Click on the first box, Wisconsin Residents: Log in with your library card or school barcode. Then click on the drop-down menu to Choose your library or school, and then choose MATC from the scrolling list. If you are in a tight spot because your assignment is due soon and you don't have time to troubleshoot, you can always log into a virtual desktop to access the library's resources.